Director – Robert Schwentke, Screenplay – Phil Hay & Matt Manfredi, Story – David Dobkin, Phil Hay & Matt Manfredi, Based on the Comic-Book by Peter M. Lenkov, Producers – David Dobkin, Michael Fottrell, Neal H. Moritz & Mike Richardson, Photography (3D) – Alwin H. Kuchler, Music – Christophe Beck, Visual Effects Supervisor – Michael J. Wassel, Visual Effects – Image Engine (Supervisor – Jesper Kjolsrud), Level 256, Rhythm & Hues Studios (Supervisor – Derek Spears), Special Effects Supervisor – Mark Hawker, Creature Design – Frame Store (Supervisors – Crash McCreery & Eddie Yang), Production Design – Alec Hammond. Production Company – Original Film/Dark Horse Entertainment. Nick Walker is a happily married Boston police detective. He expresses discomfort to his partner Bobby Hayes over their decision to keep some gold they took from a crime scene. While they are out on a drug bust, Bobby then turns and blows Nick away with a shotgun. Nick is drawn up into the sky and the afterlife. There he is given the choice of going on to face judgement or else joining the R.I.P.D. – the Rest in Peace Department – an afterlife police force set up to deal with the dead that have managed to escape and return to Earth. Choosing the latter, Nick is paired up with Roy Pulsipher, a veteran of the R.I.P.D. who died in the 1860s. They are sent back down to Boston and given avatar bodies so as to pass amongst the living. There they set about finding the dead and sending them back to Hell. In the process, they stumble onto a plan to unleash all of the dead on Earth. R.I.P.D. is the film version of a comic-book from Dark Horse Comics, the company that also published Hellboy, various Frank Miller works and numerous comics spinoffs from popular films. Dark Horse’s works have led to other film adaptations such as The Mask (1994), Timecop (1994) and Virus (1999), R.I.P.D. was a four-issue series that was originally published between 1999 and 2000. This was written by Peter M. Lenkov, the screenwriter of Demolition Man (1993) and subsequently a producer/writer on numerous tv series including 24 (2001-10), CSI: NY (2004-13) and having created/developed the tv revivals of Hawaii Five-0 (2010– ), MacGyver (2016– ) and Magnum P.I. (2018– ). The film version comes from German director Robert Schwentke who first appeared with the serial killer thriller Tattoo (2002) and subsequently moved to the US mainstream to direct works like Flightplan (2005), The Time Traveler’s Wife (2009), Red (2010), Insurgent (2015) and Allegiant (2016). The script comes from the writing team of Phil Hay and Matt Manfredi who also wrote Crazy/Beautiful (2000), The Tuxedo (2002), Aeon Flux (2005), Clash of the Titans (2010) and The Invitation (2015). Co-devising the screen story with them and producing the film is David Dobkin, a director of mostly mainstream comedies with the likes of Clay Pigeons (1998), Shanghai Knights (2003), Wedding Crashers (2005), Fred Claus (2007) and The Change-Up (2011). You get the impression that Peter M. Lenkov conceived of R.I.P.D. after watching two works that came out around at the time – the hit film Men in Black (1997) about a secret agency policing illegal aliens on Earth, which was similarly also based on a comic-book, and the now largely forgotten tv series Brimstone (1998-9) with Peter Horten as a cop sent back from Hell to retrieve escaped spirits. 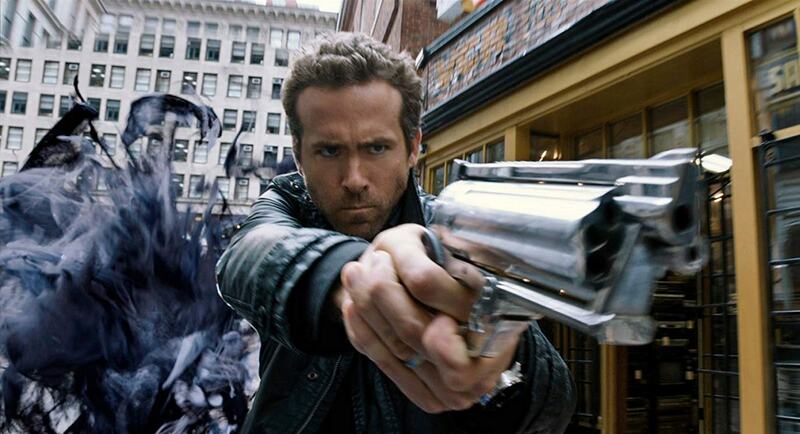 The film varies from the comic-book in a number of ways (most significantly it has been Whitewashed and the hero with the Latino name of Nick Cruz is renamed and cast with a standard Anglo actor in the person of Ryan Reynolds). The Men in Black connection is even more evident in the film and the story arc of both is almost identical – regular everyday cop is recruited into a secretive agency whose existence is hidden from ordinary people, is paired up with a crusty and individualistic senior agent, they sent out on a mission where they encounter various entities illegally hiding on Earth and then must face a threat to the world itself. All that it feels like has happened in the film is that the aliens from Men in Black have been replaced with the tongue-in-cheek demonology from a tv series like Buffy the Vampire Slayer (1997-2003) or Angel (1999-2004), otherwise the two are remarkably the same. That said, there is something far more enjoyable to R.I.P.D. than there was in either of the two Men in Black sequels, Men in Black II (2002) and Men in Black 3 (2012), even if the film leaves you wishing some more detail had been injected into explaining how its world operates. Robert Schwentke shows a reasonable hand as a comedy director. He gets far more amusing mileage that one thought would have been possible out of the gag about Ryan Reynolds and Jeff Bridges’ avatars being respectively an aging Chinese man (James Hong) and a smoking hot blonde (Marisa Miller). There is an extremely entertaining set-piece with Reynolds and Bridges pursuing an obese undead creature through the centre of the city and up the side of a building that holds more to it than all of the overblown slapstick that overtook the Men in Black sequels, while the scene early on where Reynolds floats through a crime scene and city that has been stilled in motion and up into the sky is something quite imaginative. 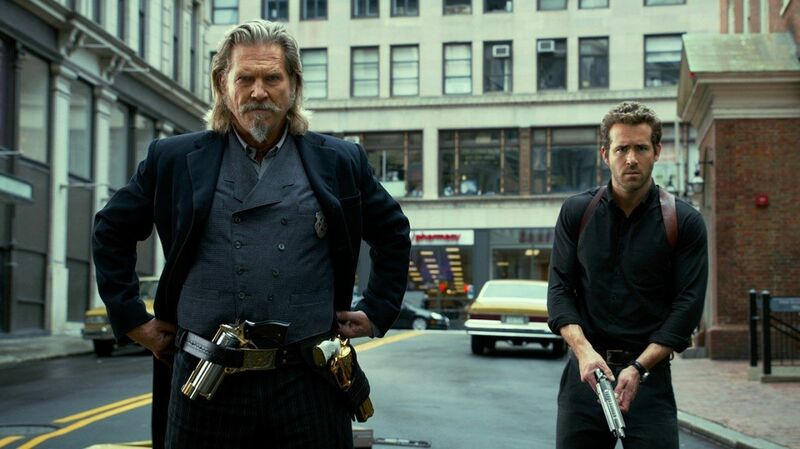 While Ryan Reynolds gives fairly much a turned-up-for-the-paycheque performance, Jeff Bridges opens up with immensely entertaining regard and owns much of the show with a loudly theatrical playing. Not a film of any particular profundity but undeniably goofy fun despite the bad movie reputation it was instantly slapped with upon opening.